Dr. Dernick was drawn to dentistry starting at a very early age. Since then, his desire to serve others and provide the highest-quality dental care possible has only become stronger, and his commitment to his patients grows with each passing year. He excelled during his undergraduate education, which led to his early acceptance into the University of Texas Dental Branch at Houston. In 1979, he graduated with his DDS degree. 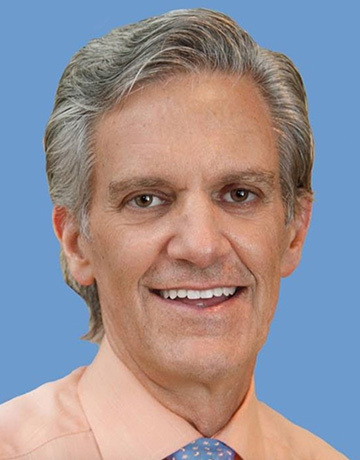 Dr. Dernick is a bit of a dental pioneer here in The Woodlands, opening his first practice in 1980, and he is now known as one of the most caring, experienced, and skilled dentists in the entire area. Dr. Dernick is always striving to improve himself, so after years of practicing general and cosmetic dentistry, he began to study the specialty field of sleep dentistry to help patients who are suffering from sleep apnea and other sleep disordered breathing (SDB) problems. Now, he’s able to provide safe, effective, and non-invasive sleep apnea therapy right here in The Woodlands using custom-made oral appliances. He can also help if you (or your spouse) frequently snores! Dr. Dernick loves how this field of care gives him the opportunity to improve a patient’s overall health and quality of life at the same time. Dr. Dernick has been happily married to his wife, Chris, for over 30 years, and they have raised three children in The Woodlands. Away from the office, he likes to be very involved with his church and the community at large. During his rare free moments, you’ll usually find him playing and studying the game of golf. In fact, over the past 12 years, he has raised funds to create junior golfing opportunities for young men and women across the country. He believes this will give children the opportunity to learn skills that will greatly enhance their lives and serve them well into adulthood.